Host your next event beside a retired Air Force Two, at a movie theater that’s been transformed into a distillery, or in front of the beautiful backdrop of a local winery. Delaware’s Quaint Villages is rethinking the meeting space. Whether you prefer traditional choices to host your corporate events or a setting to get your team outdoors, our broad assortment of meeting venue options have you covered. From casinos to parks to hotel meeting space to festival grounds, we have the right meeting venue for your style and budget. Each place lets you set the stage to have an unforgettable story. Picking the perfect location for your group of 20, 200, or 2,000 is the key to your meeting or events success. Our intimate knowledge of the area and experience working with meeting planners and event producers will take the stress out of finding the right venue for your unique guests. 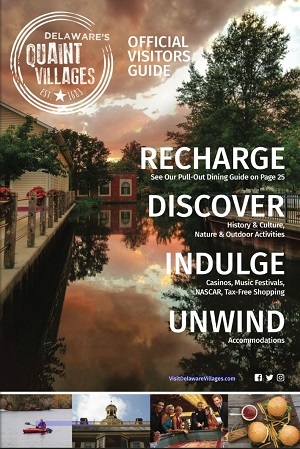 Contact John Doerfler, Sales & Events Manager at doerfler@visitdelawarevillages.com or call 302-734-4888 x103. Training and meeting spaces are centrally located in Kent County on 120 acre Terry Campus. There is rooms available to accommodate events from 12 to 1,200 attendees.